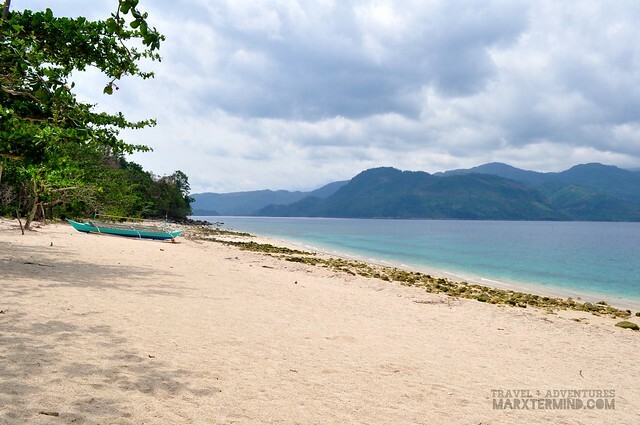 Apart from experiencing Peñafrancia Festival, another thing that I wanted to do in Camarines Sur when I visited the province last September was to get to Atulayan Island. I’ve been wanting to see the place since I’ve learned about it few years ago but it was only this year that I had able to visit it. 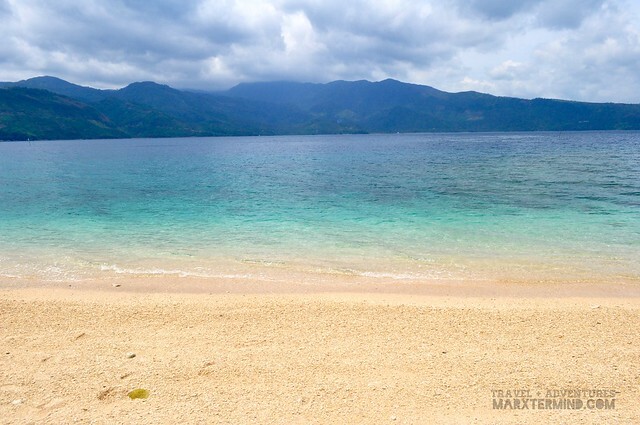 Atulayan Island is situated off the coast of Sañgay. 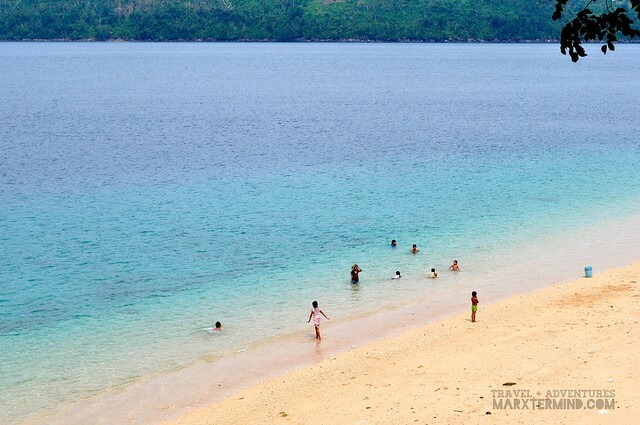 It can be reached in two hours from Naga City. 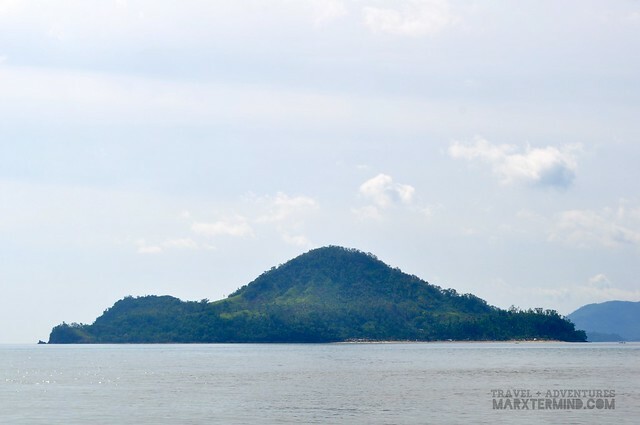 The island is shaped like a snail when viewed from afar. 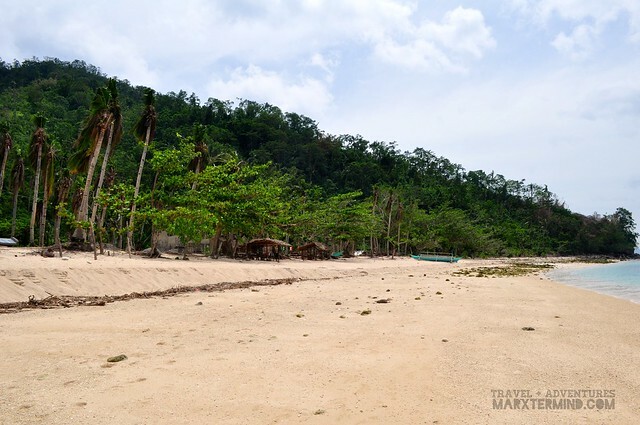 It isn’t that famous yet compared to its neighboring tourist site like Caramoan but it is a perfect destination because of its unspoiled and uncrowded beach. It was Sunday when we visited the island. I was with some of my cousins and a friend, who I had met in Instagram. I found out that he was also in Naga City because of the festival so I invited him to join us. Getting to the island was easy. We rode a bus from Pili that goes to Lagonoy. The ride took about an hour. We alighted at Tigaon. From there we rode a motorbike (habal-habal) going to Nato Port. The ride took about 15 minutes and costs PHP 20 each. 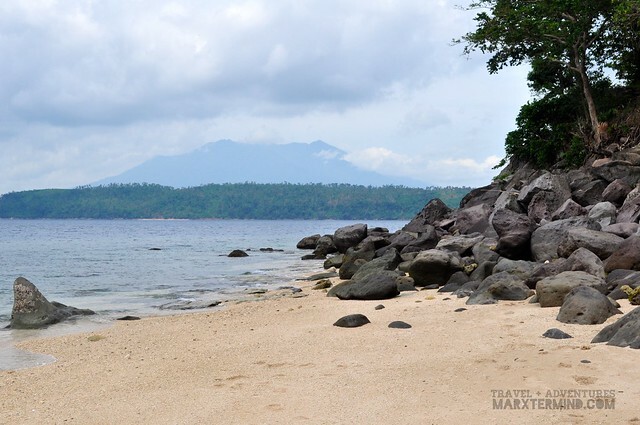 We didn’t have any prior contact or boatman that can bring us to Atulayan Island from the port, good thing though that one of our motorbike drivers has an acquaintance that he had recommended to us when we reached the port. From the port, we boarded a boat and sailed the sea for about half an hour to reach our island destination. 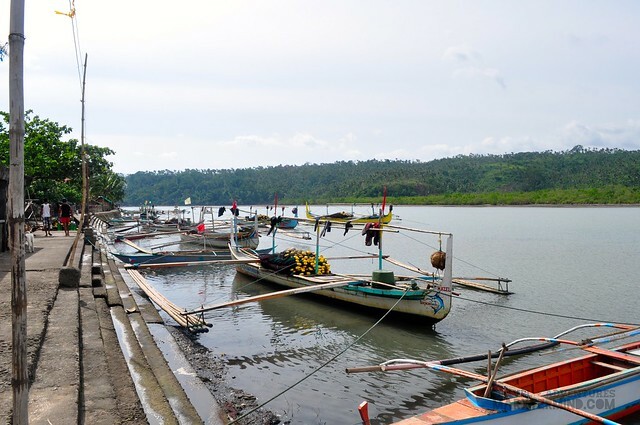 The boat ride back and forth costs PHP 1,000, which can accommodate up to 7 persons. The island houses a community and a resort. The resort where we settled for a day is named as MJ Victorias Bug Bunny Beach Resort. Lynda and Jiboy are managing it. 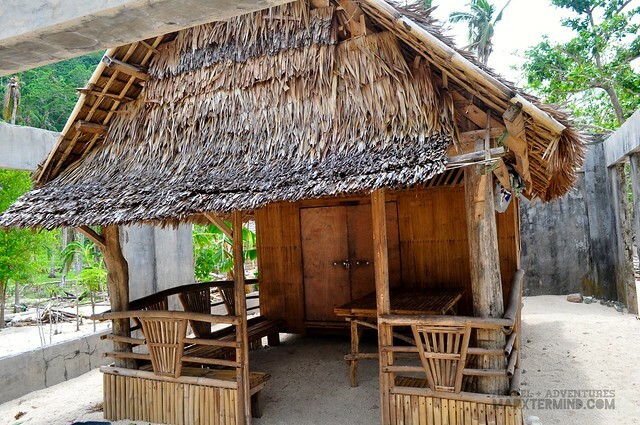 The resort has few cottages good for day tour and overnight guests. But don’t expect too much about the resort as it only has the basic. Since we were only there for a day, we just rented an open cottage that costs PHP 300. It was already late morning when we had finally set our foot in the island. We were all so excited to take a dip and have a swim upon seeing how clean and clear the water was. I had fallen in love with the island instantly. The sand is a little fine in texture and beige in color. It has a great shoreline but sadly I hadn’t able to explore it entirely. There were no other guests aside from us when we arrived at the island. We owned the beach by ourselves that day. We were welcomed by one of the owners, Jiboy and brought us to one of the cottages. After we had settled our things, we asked him if he can go with us to buy food and so he did. He escorted us to the community area, which is located just a little kilometer away from the resort. We climbed the rocky uphill and from there we found the community. We thought that we can buy food for our lunch there but we found out later on that there’s nothing much to buy, especially it was already late when we came. We were told that all fish were already sold out. We should have bought food and things that we needed when we were still in the mainland. We were thankful that Jiboy accompanied us around the community to look for food. After going to different stores, we decided to just buy some canned goods for our lunch. There was still available vegetable in the store, which we had added as an ingredient. Jiboy initiated to cook our meal. So as we waited for our lunch to be ready, we just remained in our cottage and had some chitchat over beer. 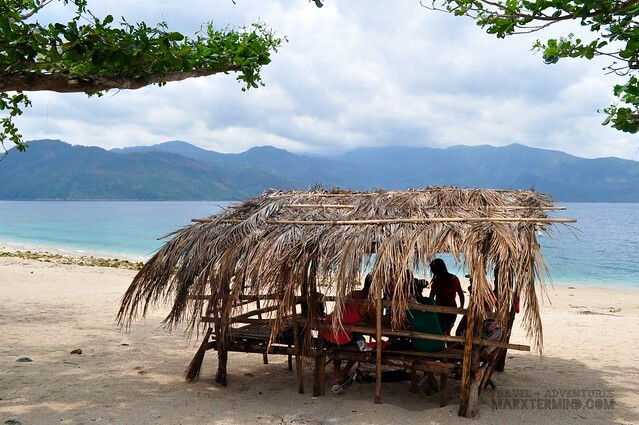 That Sunday in Atulayan Island was an escape that I had imagined of – laid back getaway with a nice view of the beach while having some cold drinks. We went swimming after lunch. The sand is creamy and fine; the water is clean and clear. I have nothing more to ask. It has the whole thing that I had sought after. It was a happy beach. However, I noticed that the sea gets deep immediately after few steps from the shore. I didn’t find it as a problem as I’m a person who still enjoys the beach even when the water is very deep. 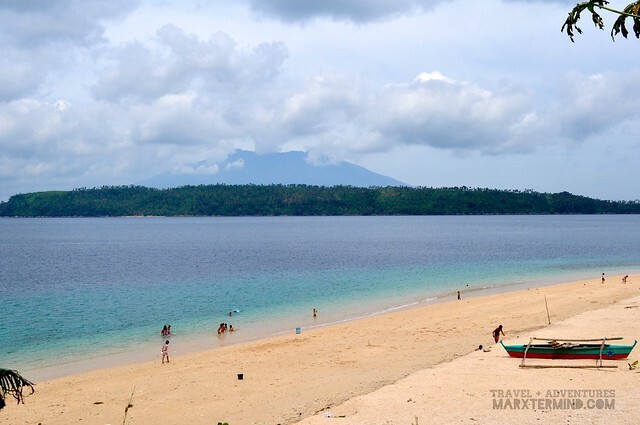 I was then told that the sand in Atulayan Island was gotten and was used in the man-made lake in CWC. I didn’t know if it was true but that was what I’ve heard from the grapevine. We spent the remainder of our day taking pictures, swimming, drinking, and taking pictures again. 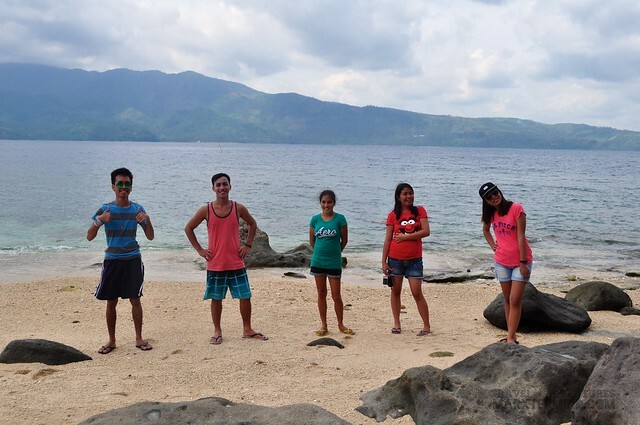 It was indeed a fun getaway with my cousins and a newfound friend. 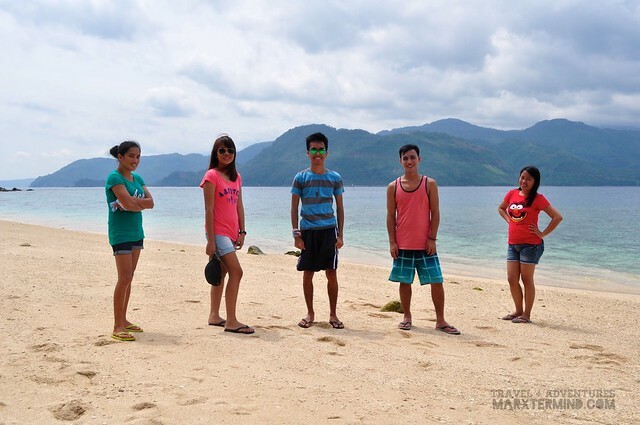 We really had enjoyed our time in the island even just for a day. It was already 4:00 PM when we bade goodbye to the island and the owners of the resort. We went back to the mainland with a smile on our face. 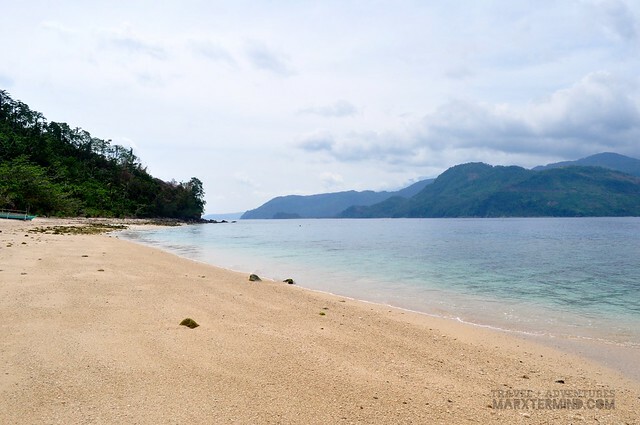 We were so delighted to see such wonderful island that gave us not only a remarkable beach experience because of its pleasant appearance but because of the hospitality and kindness of the people living there. 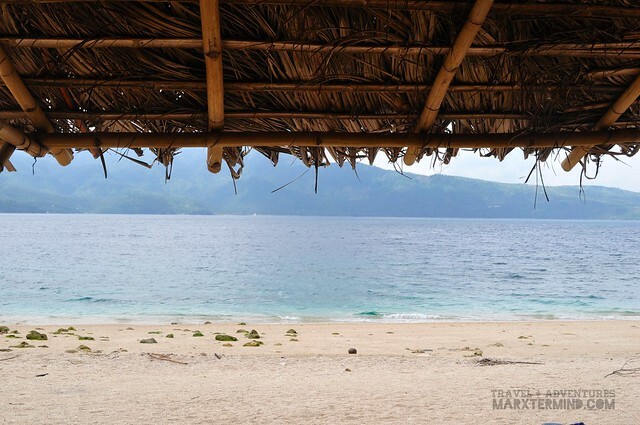 Atulayan Island is indeed a destination that I can call a happy beach because of its simplicity, appeal and warmth. What’s also pleasant about this island is visitors don’t have to break the bank so for them to have access to this place. Anyone can get to the island without spending too much. It only shows that that there are still places in the country to have a wonderful holiday without spending excessively. 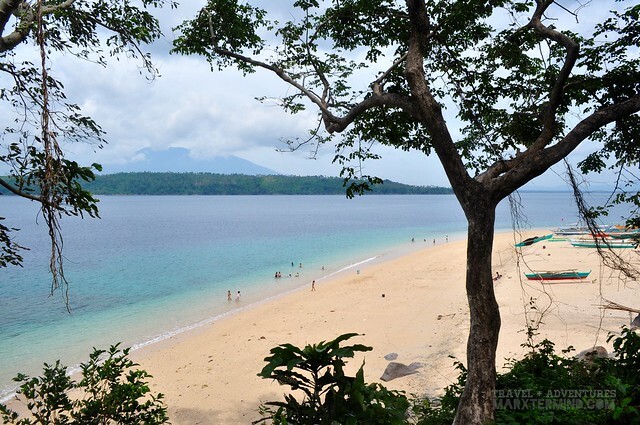 I will surely visit ATULAYAN ISLAND when I get the chance to go home again in BICOL. Thanks for the nice BLOG. I am a neophyte BLOGGER and I found this article very helpful.